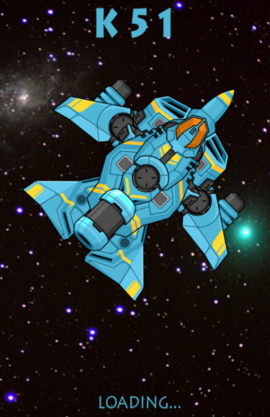 Embark on a space crusade against the junk food! 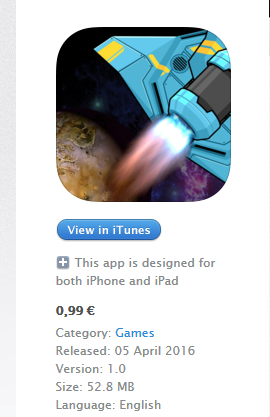 Released: 05 April 2016 | Version: 1.0 | Developer: Ten Touch Ltd.© 2016 TenTouch Ltd.
Navigate your galactic spacecraft through the Solar System and into deep space while collecting the bonus items and avoiding the obstacles. 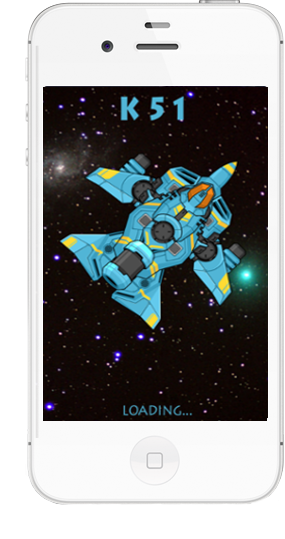 The game starts as easy as an afternoon walk, gradually getting down to the real stuff – for the skilled space pilots. 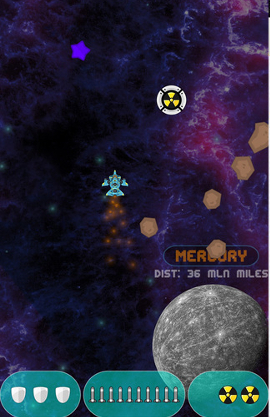 There are some useful tools for getting yourself through the asteroid belts – shields, nukes and missiles. Pay attention to the celestial objects’ labels – apart from telling you the distance reached, you’ll learn the names of many satellites around the solar planets. You’ve been warned: Avoid glasses and bottles at all costs. Flying drunk is a lot worse than driving drunk. Collect: stars, flowers, veggies, bonus crates! Avoid or shoot down: meteors, junk food, alcohol! If you’re interested, We’d love to hear from you. Drop us a line anytime!